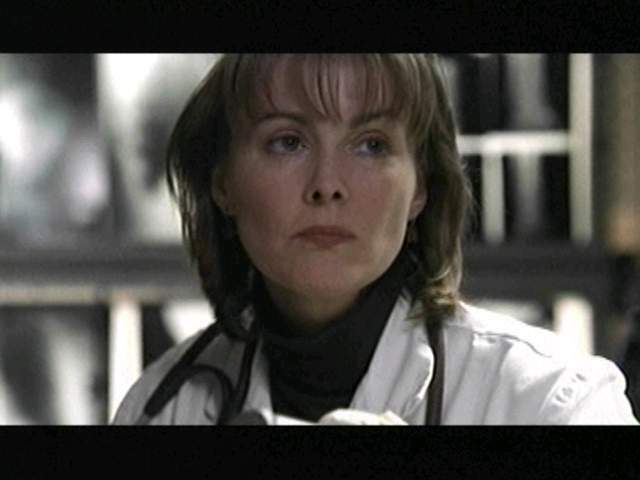 Laura Innes, who stepped into a recurring role as Dr. Kerry Weaver during the second season of ER, became a series regular during the third season and has received three Emmy nominations for her portrayal of the fiercely independent doctor. In addition, she has received four nominations for Best Supporting Actress from viewers for quality television. Innes also made her directorial debut with the ER episode Power in the fifth season and went on to direct the highly talked about episode Be Still My Heart in the sixth season. (in which Kelie Marins character, Lucy Knight was fatally stabbed). 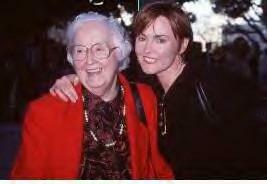 She also directed episodes of the series The West Wing. Laura is the youngest of six children and was born in Pontiac, Michigan, but she raised in Birmingham, Michigan. She remembers her father, a college English instructor, taking the family to the famous Stratford Shakespeare Festival in Ontario when she was small. It was there that she got her first taste of professional theatre and decided to follow her fathers advice to do what you love. After graduating from high school, Innes attended Northwestern University, where she earned a bachelors degree in theatre. Work in Chicago theatre followed, including a role at the renowned Goodman Theatre playing Stella opposite John Malkovich in A streetcar named desire. She continued wording in Chicago for four years and originated the lead role of Glenna in David Mamets Edmund before travelling with the production to New York City. Innes other theatre credits include Two Shakespearean Actors opposite Eric Stoltz at Lincoln Center, Our Town with Campbell Scott at the Seattle Repertory Theatre and Three Sisters at the La Jolla Playhouse, which also starred Nancy Travis, Phoebe Cates and Jon Lovitz. She has quest-starred on television series such as My So-Called Life, Party of Five and Brooklyn Bridge, and appeared in the Emmy Award-winning cable movie And the Band Played On. Innes also starred in the comedy series Louie, starring comedian Louie Anderson. She was seen on the big screen co-starring with Tea Leoni, Morgan Greeman and Vanessa Redgrave in the hit action-adventure film Deep Impact, which was directed by former ER producer/director Mimi Leder and in Cant Stop Dancing with ER co-star Noah Wyle. Laura married to David Brisbin, and they have two children, Cal and Mia.